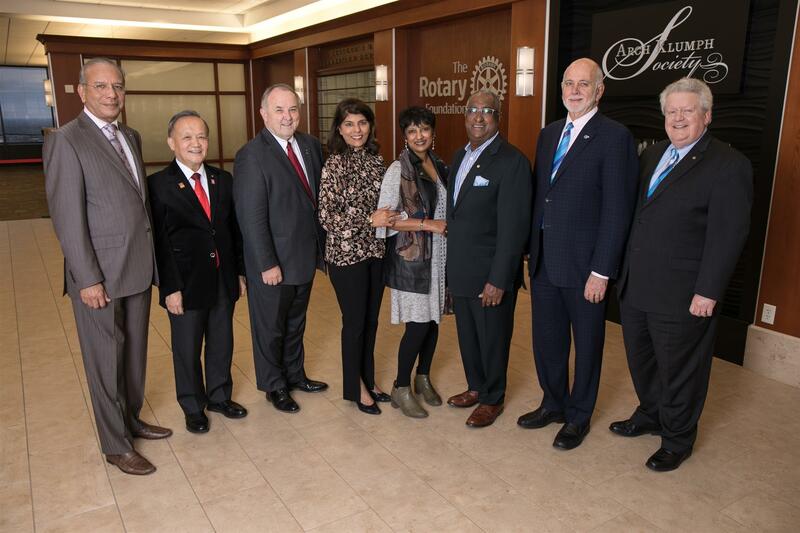 A special thank you to Bala and Vasi and other dedicated and committed Rotarians in District 5040 who have made a significant financial contribution to the humanitarian programs of The Rotary Foundation and have been inducted to the Arch Klump Society (AKS). Also attending the ceremony were Past RI President K.R. “Ravi” Ravindran, Past RI President Gary C.K. Huang and RI President Elect Mark Maloney. 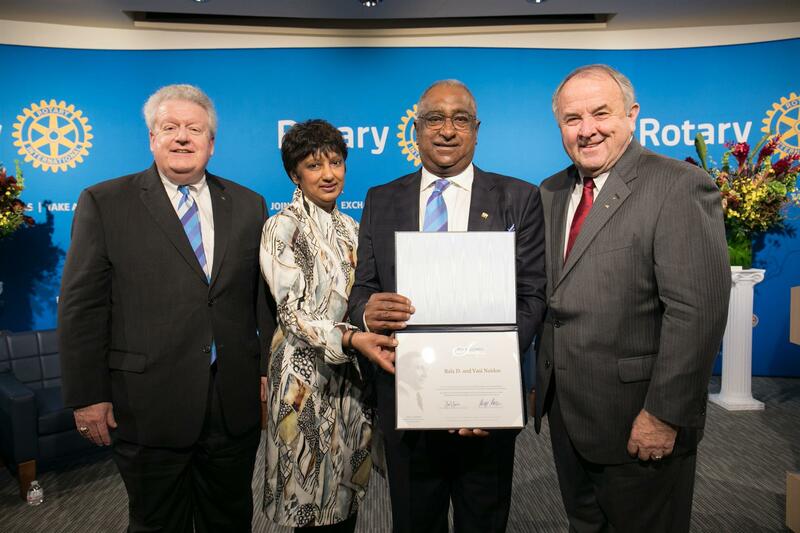 The Rotary Foundation provides special recognition to Rotarians and friends of Rotary who contribute US$250,000 or more to The Rotary Foundation by inducting them into the Arch Klumph Society. Members may have their portraits displayed in the Arch Klumph Gallery at Rotary International’s World Headquarters in Evanston, IL. Donors receive a certificate signed by the President of Rotary International and the Chairman of The Rotary Foundation, and they are invited to a special event at annual RI conventions. 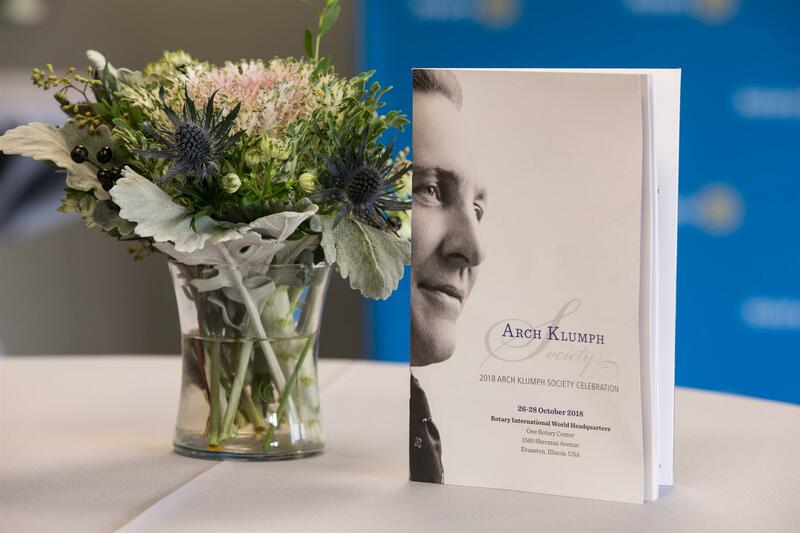 The society is named in honour of The Rotary Foundation’s founder, Arch Klumph. 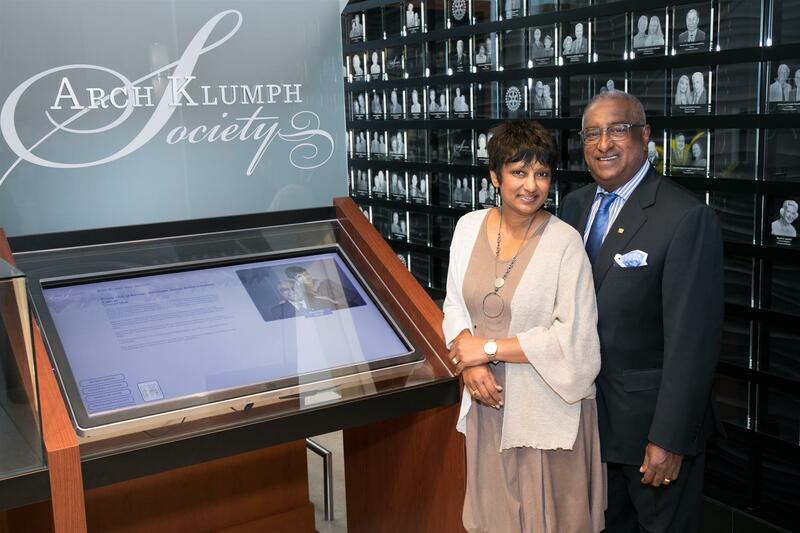 Arch Klumph Society Members are among The Rotary Foundation’s top leaders and innovators. Members believe in the work of The Rotary Foundation and have made supporting peace, education, and humanitarian assistance part of their personal mission. They are key supporters of the Foundation, and their involvement is vital to its work. 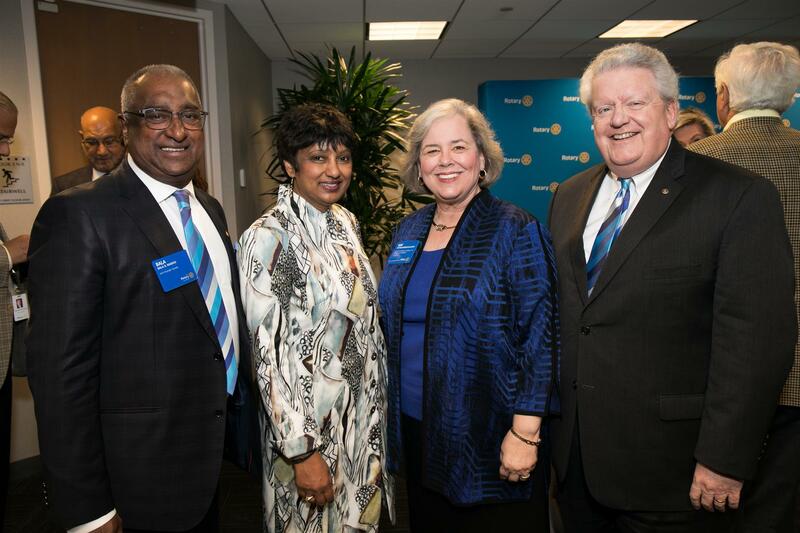 Arch Klumph Society members support The Rotary Foundation for a variety of reasons. 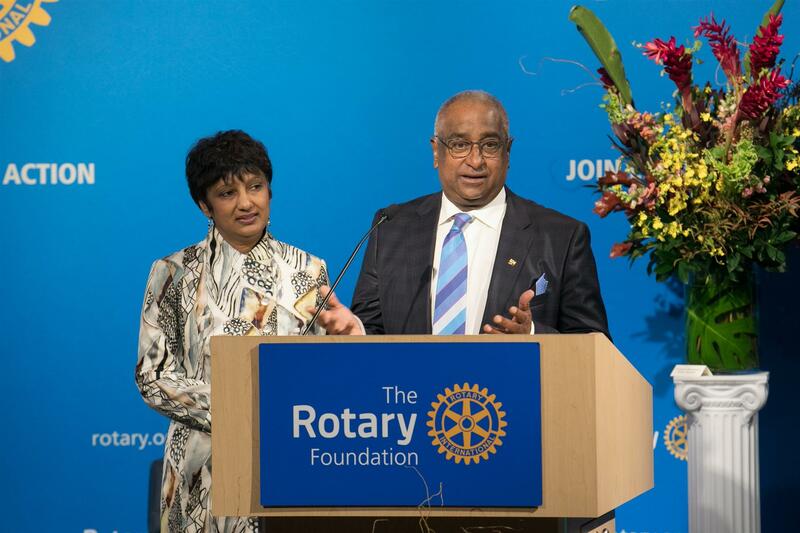 With their help, the Foundation is fulfilling Rotary’s promise of creating a polio-free world. Children and families are living healthier lives through the Foundation’s Humanitarian Grants Program. Educational and cultural exchange programs are helping young people build lasting friendships and mutual understanding with their peers around the world. Member support enables tomorrow’s leaders to live and study together as Rotary World Peace Fellows and provides them the opportunity to begin building a more peaceful world.